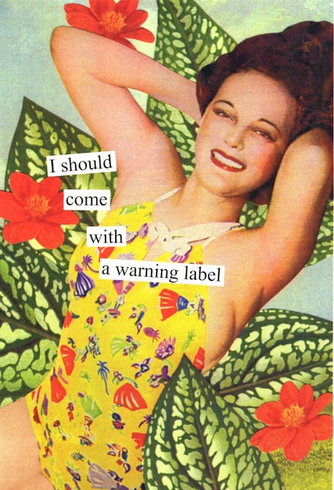 Outside: I should come with a warning label. Inside: Look out! here comes another birthday. Measures: 5 x 7 Inches. Includes envelope.